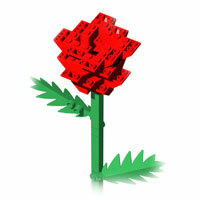 Here you will be able to build various kinds of LEGO roses. 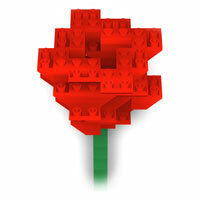 In order to build this elegant LEGO rose, you will need 32 2x2/45° inverted roof tiles. Two more regular bricks to be needed to complete the rose. First, you need to build a stem with two leaves and then an elegant rose separately before starting this instruction. Here we will show how to assemble them together.